“Do Not Play with the Lion’s Tail”: Does Iran President Rouhani’s Harsh Response Bring Peace to the Region? Obviously any war rhetoric either by tweet or as an official statement only helps the warmongers and limits the forces who are diligently working toward peaceful solutions to resolve conflicts. However in the recent tweet duel between the U.S. and Iranian officials, all the tough talk like the comment from the Major General Qassem Soleimani as saying: “If you [U.S.] begin the war, we will end the war” looks juvenile and really meaningless. The strange late night tweets from President Trump have been criticized and analyzed many times, so let’s see what Mr. Rouhani’s “Lion’s tail” remark means. 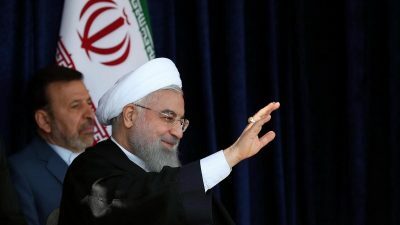 President Hassan Rouhani in a televised speech at a gathering of Iranian diplomats in Tehran warned the United States not to “play with the lion’s tail” and concluded the conflict with Iran would be the “mother of all wars”. “Playing with the lion’s tail” actually is a story about collaboration and friendship between two separate entities! One might say it was a Freudian slip by Mr. Rouhani, since a section of the 1% in Iran has been seeking an “equal” relationship with the U.S. and the E.U. What is actually the story behind “don’t play with the lion tail!”? As story goes, one day a little mouse was playing with a lion’s tail while the lion was napping. Suddenly the lion wakes up, grabs the annoying little mouse and says “don’t play with the lion’s tail!”, you have been irritating me for a while and now I’m going to kill you. The little mouse (in fear of its life) begs for mercy and promises that he wouldn’t bother the lion anymore. The lion listens to the desperate plea of the regretful little mouse and decides to allow the mouse go free. A few days later, a skillful hunter captures the lion alive with a net trap. The lion unable to release himself from the net starts roaring loudly. The faithful mouse nearby hears the lion’s roar, rushes towards the sound and finds the lion in distress. The little mouse instantly starts chewing on the net until lion is able to escape from the hunter’s trap. However considering the Iranian official’s spin on the “Lion’s Tail” message, the fact is that President Rouhani’s response to President Trump is not really wise or helpful. 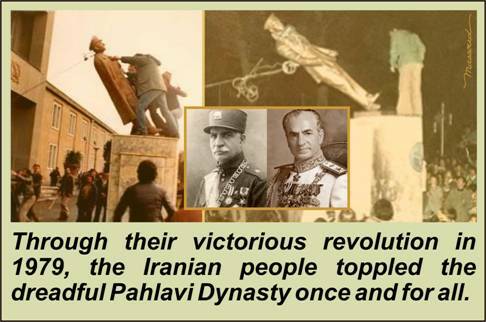 Iran’s classical revolution in 1979 (in which all layers in society participated and supported historical change) toppled the monarchy and Pahlavi Dynasty once and for all. Workers in cities and framers in rural area, women and youth joined forces and ended a corrupted ruling class. They opened the gate of freedom in hope for a new form of governance, a Democratic Republic. However the Islamic leadership of the late Ayatollah Khomeini was the only force who understood the nation’s demand and he was the only leader who declared that the “Monarchy (SHAH) Has To Go!” The Stalinist communist Party, the “Liberal” National fronts were too weak to even imagine of taking the leadership. Offshoot organizations of the major parties were running around, creating drama like a chicken without head. Meanwhile a new 1% in conjunction with the old wealth formed a new government: The Islamic Republic of Iran. The new establishment in Tehran under the cover of the National Security, started arresting the Iranian intellectuals, artists, leaders and members of the independent parties and workers Union (Etehadieh). They were incarcerated in the harshest inhuman conditions in Evin, an infamous prison in Iran. The new government’s justification in banning the opposition’s voices was the unexpected Iraq war against Iran which was directed and supported by the U.S. and the European military powers. Soon Democracy, Freedom of Speech, the fruits of revolution were forbidden and taken away. However the 99% pushed their demands forward, making progress here and there. The 1% after the revolution rather to respond to the Iranian people domestic needs, aimed to become a military power player in the region. They thought this would be the only way that guarantees their power and keeps Iran secure and strong. Meddling in Iraq and Syria’s affairs was justified as a “defensive” strategy. The majority of the 99% in Iran, although sympathetic to their sisters and brothers’ dire situation in Iraq, Syria and most of all occupied Palestine were dissatisfied with the high cost of military operations while the corrupt officials and financiers were sucking dry the blood of hard working people. The fact is that the “Lion’s Tail” message is not a message from the majority of the people in Iran. Iranian working families have enough problems of their own to become pawns in a war of empty words or destructive weapons! They decisively reject this notion that “If you begin the war, we will end the war”! It will be the young generation who must fight the next unnecessary war of old politicians and the youth in Iran (like any other country) are looking for a peaceful world. Beside, how can you put an end to a war against the most insane and powerful military on earth? The U.S. has been the only military power in the world that already has dropped atomic bombs on Japan to claim its victory in WWII as the Super Power. What the Iranian officials are really hoping is that if the U.S. starts a war against Iran, the Russian and Chinese miraculously will end it! But the reality is the people in the U.S. and Iran are not in the mood for war! More than anything they want CHANGE. Today people are on street demanding a change to the miserable status quo. The massive participation of youth and women in the recent Pakistan Presidential Election is the most recent testimony to people’s desire for change. However, it is needless to say that the election of Mr. “Imran Khan” (a political character similar to Mr. Sanders in the U.S. or Mr. Corbyn in U.K.) will not be a decisive victory. There are “millions of ways to be free” and prosperous – choosing military confrontation as an option only take us to the world of darkness and destruction. We already have seen plenty of death and destruction in WWI, WWII, Hiroshima, Nagasaki, Vietnam, Afghanistan, Iraq, Libya, Syria and Yemen. There must be another way other than war to resolve the differences. What would follow after the “Mother of All Wars” begins will be unimaginable. For sure, DEATH would be a blessing if a nuclear war is unleashed upon us.